The objective of this research was to evaluate, in saline-sodic soils, the effect of the application of a low rank coal (LRC), lignite type, along with an inoculation of bacteria that release humified organic matter (HOM) from this type of coal. The soil microbial activity and related coal biosolubilization enzymes mediated by microorganisms were determined along with the chemical variables associated with saline-sodic soils with testing under controlled conditions in a greenhouse. Adding 1 % LRC and the solubilizing coal bacteria: Bacillus mycoides, Acinetobacter baumannii and Microbacterium sp., to a saline-sodic soil led to an increase in the soil respiration, microbiological activity, cation exchange capacity, and activity of the enzymes LiP and Lac. A decrease in the electrical conductivity, sodium adsorption ratio and percent saturation of sodium, except pH, was found. The present findings suggest the possibility of using LRC as a possible organic amendment in saline-sodic soil, where the microbial activity can take place to accelerate the biotransformation processes of LRC to contribute to the rehabilitation of these disturbed soils. Salinization is a global problem and is defined as the concentration of soluble salts in the soil that interfere negatively with soils and the growth of plants due to a high salt content. When sodium is the prevalent cation in clays, dispersion of the soil is generated, leading to destruction of its structure. Moreover, when in a soil, the hydrolysis of sodium in clays leads to alkalization of the profile, causing intense mineral alteration and classification as a sodic soil (sometimes alkaline), but, if there is a high salt content and sodium predominates in the exchange complex, they are classified as a saline-sodic soil . In the Cesar Valley (Colombia), 38.44 % of the soils are characterized as saline and saline-sodic, which leads to compaction, loss of structure and negative impact on the germination, growth and development of plants, which decrease agricultural productivity . The application of organic amendments is an alternative for conditioning soils with these characteristics, because their structure improves with aggregation, increasing the biological activity and improving the cation exchange capacity [2–4]. Coal is a sedimentary rock of organic origin that is generated by the diagenesis and metamorphism of vegetation at a certain pressure and temperature; the rate of change undergone by coal as it matures from peat to anthracite, known as coalification, is of great importance to the physical and chemical properties, and is called “rank” coal . Coal is one of the more important resources in the economy of Cesar (Colombia), whose extraction is performed on a large scale. This activity generates large amounts of commercial, high-calorific coal; however, the extraction process also produces and accumulates significant amounts of lignite type low rank coals (LRC). Colombia is estimated to have an annual production of 49.5 million tons of coal, of which 45.6 are exported; the remaining is not exported because of its low quality (LRC) . Lignite type LRC is a coal that is typically characterized as soft and friable, with a dull, earthy appearance and high humidity (30–45 %) and ash. Low fixed carbon and low energy contents due to the low degree of coalification of these materials are typically referenced with high content Humic Substances (HS) [7, 8] due to the organic nature and the content of elements for microbial nutrition [9, 10] that can be processed by various mechanisms that generate useful products, such as HS in the macrostructure ; for this reason, these coals can be exploited as raw material for organic amendments for the agriculture and management of impaired soils [11, 12]. There are microorganisms with physiological characteristics that allow for the transformation of LRC and other complex organic compounds due to a number of mechanisms known as the ABCDE system (A = alkali, oxidative; B = Biocatalysts; C = chelators; D = Detergents; E = Esterases) . Alkaline substances such as ammonia, biogenic amines and similar compounds are involved in the microbial liquefaction (solubilization) of coal. These compounds are produced by fungi and bacteria using the compounds of the medium and are capable of solubilizing the acidic groups of coal through deprotonation of the macrostructure, increasing the hydrophilic potential . The most studied mechanisms are mediated by extracellular enzymes produced by many fungi, Basidiomycetes, that have enzymes capable of degrading lignin, the main parent material in the formation of coal. It has been reported that ligninolytic enzymes are available for the biotransformation of LRC. Ligninolytic enzymes include peroxidases: lignin peroxidase (LiP), manganese peroxidase (MnP) and other peroxidases, and phenol oxidase enzymes laccases (Lac); support enzymes (H2O2 = oxidases generator), organic acids of low molecular weight (oxalate, lactate, malonate) and hydrolytic enzymes, such as esterases that have been found in Trametes versicolor and other ligninolytic fungus . These mechanisms act on the coal, allowing humified organic matter (HOM) to be released through solubilization or depolymerization; in the first case, LRC solubilization leads to the formation of dark-colored liquid droplets, enriched in HOM, that occur at high pH values (pH 7–10) and is due to the action of alkalis, chelating agents, surfactants and certain hydrolytic enzymes. LRC depolymerization or derived molecules are the ligninolytic enzyme-mediated process that occurs at low pH values (pH 3–6) and results in bond cleavage within the coal molecule, allowing for the formation of substances called yellowish acids, low-molecular weight fulvic acids [13–16]. Not only are fungi able to biotransform lignin, but it has also been reported that some species of bacteria have the same capacity, isolated from samples of coal, such as Escherichia freundii, Pseudomonas rathonis, Pseudomonas fluorescens, Streptomyces setoni, Pseudomonas putida, Bacillus sp., Staphylococcus and Rhodococcus [17–19] are able to generate substances with characteristics similar to the HS obtained from LRC by chemical extraction . In a previous study in Colombia, three bacteria (Bacillus mycoides, Acinetobacter baumannii and Microbacterium sp.) that exhibit an LRC solubilizing capacity and that release HOM  were isolated and selected from environmental samples with coal residues in the open coal mine pit “El Cerrejón,” located in La Guajira (Colombia). HS are natural organic substances, ubiquitous in water, soils and sediments and are important to stimulating plant growth and controlling environmental pollutants and the biogeochemistry of organic carbon in the global ecosystem . HS are used as soil conditioners of natural origin that contribute to increasing the ionic exchange capacity of the soil, are a fundamental part of the regulatory absorbing complex of plant nutrition to the conversion of non-absorbable forms  and play an essential role in the availability of nutrients in soils for plants , favoring the transfer of micronutrients and increasing the water retention and the percentage of seed germination. HS also contribute significantly to the weathering of rocks and chemical agents , acting as adjuvants for the phytoremediation of contaminated soils and stimulating the development of microbial populations in soils [25, 26]. The objective was to provide evidence for the potential use of LRC coals and coal solubilizing bacteria (CSB) as a possible alternative for soils with salinity problems, and, considering that this is a common problem in the soils of Cesar Valley (Colombia), located near the largest coal mining activity in Colombia, this study aimed to evaluate the effect of applying a lignite type LRC along with bacterial inoculation that generates HOM through coal biosolubilization on some biological, chemical and physical properties in saline-sodic soils from Cesar Valley, under greenhouse conditions. This research was conducted in the greenhouse of the Research Laboratory of Plant Physiology and Biochemistry, Department of Biology of the National University of Colombia in Bogotá, under controlled conditions: temperature (28–30 °C), relative humidity (75–80 %), and photoperiod (12/12 h). A lignite type LRC collected in the number forty mantle of the “Tajo Patilla” pit extraction in the “El cerrejon” open mine (La Guajira, Colombia) was used. The coal characteristics are shown in Table 1, corresponding to a lignite type LRC due to the high moisture content and low calorific power (under 6390 kcal kg−1) . Before its use in this experiment, the LRC was sieved to obtain particles with a diameter less than 300 μm. For this study, strains of the bacteria Bacillus mycoides (CSB25), Acinetobacter baumannii (CSB13) and Microbacterium sp. (CSB3) were used; the first was isolated from the rhizosphere of Typha domingensis (grass that thrives in areas of carbonaceous sediment accumulation), the second came from carbonaceous sediments from the washing of coal and the third from LRC . These bacteria were selected because of their ability to present a greater ability to solubilize LRC in solid and liquid media, resulting in the release of HOM . The strains were stored at 0 °C, placed in Petri dishes containing Nutrient Agar (Oxoid®) to grow for 48 h at 35 °C ± 2, then the inoculum was transferred to 500 mL bottles with nutrient broth (Trypticase 20 g L−1, Sodium thioglycolate 2 g L−1, sodium formaldehyde 1 g L−1, sodium chloride 5 g L−1, Agar 15 g L−1), and stirred at 250 rpm for 48 h. The concentration of each bacterial inoculum was determined with the McFarland scale to adjust the inoculum at a concentration of 1 × 108 bacterias mL−1. Samples were taken at a −20 cm depth from the A horizon of the saline-sodic soils (Salidic Calciustolls). The soil properties were determined in the soil laboratory of the Instituto Geográfico Agustín Codazzi IGAC, Colombia (Table 2). An exploratory experiment was conducted in a greenhouse with the purpose of observing early trends in the effect of the LRC and the three CSB (CSB25, CSB13, CSB3) on the saline-sodic soils under controlled conditions. The soil respiration, soil microbial activity, ligninolytic enzymes and variables associated with soil salinity were monitored. The experiment was conducted with a randomized complete block (RCB), using three replicates per treatment. 3.00 kg of soil was used, placed in plastic bags. The LRC application was performed at a rate of 1.00 g per 100.0 g soil; each bacterial inoculate of CSB25, CSB13, CSB3 and the bacterial pool were added at a rate of 1 × 108 bacterias mL−1 g−1 LRC (Table 3). In each experimental unit, star grass was sown (Cynodon plectostachium), a plant adapted to saline-sodic conditions , to have vegetative cover on the soil and stimulate biological activity in the rhizosphere. Irrigation was applied to maintain the soil moisture at approximately 50 % of the field capacity. After 2, 4 and 6 months from the start of the experiment, measurements were taken for soil respiration, soil microbial activity, activity for the Lac and LiP enzymes, pH, electrical conductivity (EC), sodium adsorption ratio (SAR), exchangeable sodium percentage (ESP) and cation exchange capacity (CEC), in triplicate for each parameter. The soil respiration was determined with a closed incubation technique , with some modifications: a small plastic cup was placed in each plastic bag with 10 mL of 0.5 N NaOH to adsorb the CO2 released by the soil, which was raised 1 cm from the ground with a support; then, it was covered with a larger inverted plastic container, which created bell respiration, and buried at a depth of −2.0 cm to minimize the diffusion of CO2 over the edge of the jar. After 24 h, the system was removed and 1 mL of BaCl2 was added to stop the reaction. Then, the amount of CO2 released from the samples was calculated . The soil microbiological activity was determined by the fluorescein diacetate (FDA) hydrolysis method  with some modifications for the soil samples [34, 35]. Fluorescein diacetate is a chemical compound used to assess the enzymatic activity of hydrolases from microorganisms. The presence of these enzymes is evident from the color (green) of the FDA after being hydrolyzed with enzymes . The results were interpolated using a standard curve with known concentrations of fluorescein (1, 5, 10, 20, 30, 40, 50, 60, 70, 80 mg fluorescein mL−1) and the hydrolyzate was calculated for the FDA (mg kg−1 soil h−1). To find related evidence for the activation of CBR solubilization of native microbiota present in the soil, especially fungi, two ligninolytic enzyme activities were determined: LiP peroxidase, as described , and Lac activity , 2.00 g of soil from each treatment, were taken and added to 10 mL of sterile distilled water, shaken at 250 rpm for 2 h and centrifuged at 8000 rpm for 20 min. The supernatant was extracted for the measurement of the activity of each enzyme. For the LiP activity, 400 μL of the supernatant was used for the reaction; absorbance measurements were performed at a wavelength of 310 nm. The amount required to oxidize 1 mmol of veratryl alcohol per minute was defined as one unit 1UI of LiP . The Lac activity was evaluated using 300μL of the supernatant for the reaction; 1UI of Lac was defined as the amount of enzyme that catalyzes the oxidation of 1 mmol ABTS (C18H18N4O6S4) per minute . 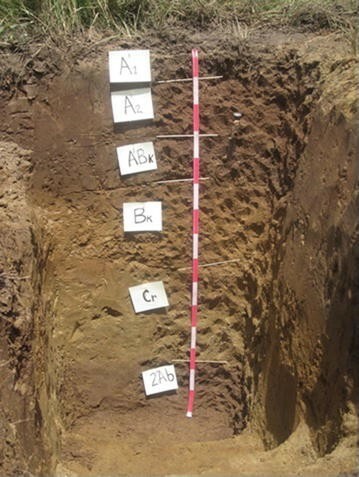 Soil properties were determined according to the protocols of the IGAC . All variables were determined in a saturation paste. The data were submitted to analysis of variance, least significant differences and, in some cases, the average Dunnet test was applied after analysis of the parameters of normality of the data. Additionally, the data for the last sampling were subjected to Categorical Principal Components Analysis (CATPCA) using the statistical analysis program SPSS, version 18, to determine the association between all the variables. Respiration is considered an indicator of the aerobic biological processes developed in the soil . Figure 1 shows that, 2 months after the LRC and CSB were applied, all the treatments, except C-M, showed significant differences (P < 0.05), as compared to the control. In the fourth and sixth months, the soil respiration increased in all the treatments, unlike the control (P < 0.05). It was observed that the addition of the CSB25, CSB13, CSB3 and the pool stimulated the respiration activity of the soil, which might indicate the possible release of HOM mediated by these bacteria, which contribute to soil conditioning as structure and aggregation enhancers, as previously described in a similar assay with edaphic materials used in post-mining land reclamation process [24, 27, 41]. Additionally, an increased soil respiration with the addition 1 % LRC, as compared to the control, was observed, demonstrating that stimulation of respiration is increased regardless of the addition of the LRC. However, these results differ from those found in the soil microbiological activity of soil material removed for treatment with LRC and CSB, where the effect of the LRC increased the microbiological activity independent of the addition of CSB . This can be explained because LRC has a high specific surface area and porosity  promotes ventilation and moisture retention, promoting a favorable habitat for the growth and activity of microbiota companion coal and in the soil. Microbiological activity is an indicator that the soil dynamic reflects the physical and chemical conditions that allow for the development of the metabolic processes of microorganisms and their action on organic substrates . Soil microorganisms are sensitive to the detection of the degradation of ecosystems . The results presented in Table 4 show that, throughout the experiment, treatments C-AB and C-P had the highest microbiological activity with significant differences (P < 0.05) as compared to the other treatments. Treatments C-BM and C-M showed significant differences (P < 0.05), as compared to the control during the first 2 months, evidence that the CSB stimulated the microbial activity; this may explain the reason why the biotransformation of LRC by these bacteria leads to the release of HOM , which contribute to the formation of aggregates in the soil , growth and microbial activity, soil aeration and moisture retention. Therefore, the results show that there was a greater effect of microbial activity when the LRC was applied to saline-sodic soils in conjunction with the bacterial inoculum CSB13 and Pool. This result is different from that found in an experiment with edaphic materials used in post-mining land reclamation process, which showed that the effect of LRC on microbiological activity was independent of the addition of CSB . The results presented in Fig. 2a indicate that the activity of the LiP enzymes in the second and fourth months for treatments C-P, C-AB and C showed significant differences (P < 0.05) relative to the control. At the sixth month, significant differences between treatments C-P and C-AB with respect to the control were seen. Treatment C-P presented significant differences from the control and other treatments during the months it was treated with LRC and CSB. Treatment C-P presented significant differences from the control and other treatments during the months it was treated with LRC and CSB. According to these results, it is not possible to attribute the activity of the LiP enzymes to inoculum that was applied because the strains CSB25, CSB13, CSB3 used in this bioassay have not been reported as producing LiP enzymes, which are most associated with fungi . However, bacteria use non-enzymatic mechanisms for the solubilization of LRC, such as the production of surfactants, release of metal chelating compounds that bind the macromolecular structure of coal, and the production of alkaline substances that dissolve soluble molecules and HS in the coal matrix ; possibly, this may stimulate the growth of native LiP-producing fungi or soil fungi found as accompanying flora in the pore spaces in the LRC-added soil. Due to its organic nature and content of important elements for microbial nutrition such as nitrogen, sulfur, iron, carbon, oxygen and hydrogen and trace elements, it is a substrate for the colonization and growth of microorganisms, whose biological processes can be used as an energy source [9, 10]. As for the activity of the Lac enzymes (Fig. 2b), significant differences were found for 6 months in the LRC- and CSB-treated soils, as compared to the control. Some bacteria have been reported to be capable of producing laccase enzymes [46, 47], such as the CSB used in the experiment, and transforming LRC. The Lac activity was higher when inoculated, pooled or individually. It is possible that the Lac activity is associated with bacteria and fungi of native LRC. Treatment C-AB showed the highest Lac activity. Also, it is possible that the Lac activity is associated with bacteria and fungi that the LRC used in the experiment or soil native microbiota. According to the Dunnet averages comparison test in the soil, the pH did not have significant differences during the 6 months of the greenhouse experiment. The EC in the second month showed significant differences from treatments C-P, C, C-AB, C-M and C-BM with respect to the control, while the fourth month showed that only treatments C-P, C, and C-AB maintained significant differences with respect to the control. At the sixth month of the treatment, C exhibited significant differences with respect to the control. The results establish the positive effect of both the individual application of coal and in conjunction with CSB on the EC (Table 5). The SAR and ESP showed a decrease in the saline-sodic soil after being treated with LRC and CSB, presenting a greater effect on the SAR when the LRC, alone or in conjunction with the CSB, was added, with significant differences (P < 0.05) when compared to the control. While the ESP exhibited the greatest decrease when the soil was treated with LRC and CSB13. These results demonstrate that the addition of LRC, with or without CSB, decreases the SAR and the ESP, which differs from other studies using vinasse in Petrocalcic Natrustalf soils . Table 6 shows that the CEC was high in all the treatments, with significant differences with respect to the control during all the evaluated months, allowing for the inference that the LRC, as a source of humus material, increases the CEC. Clearly, it presents a greater effect when the LRC is applied with each CSB or pooled, probably indicating a releasable HS contained in LRC through biosolubilization of the LRC ; it has been reported that HOM releases polyelectrolytes and increases the CEC. Also, LRC itself is a material with a high CEC due to the presence of phenolic and carboxylic groups, among other exchange sites . Figure 3 shows the categorical principal components analysis (CATPCA) done to establish the patterns of the relationships between the variables evaluated in the experiment. The CATPCA achieved in two components explained 57.5 % of the variability in the original data (Fig. 3b). Dimension 1 explained 37.5 % of the variance and the most influential variables in this dimension were treating the soil with the pool of CSB, soil microbial activity, soil respiration, activity of the enzymes LiP and laccase and CEC. The pH and EC presented an inverse relationship with the former group of variables (Fig. 3c). Dimension 2 explained 19.8 % of the variance; the most influential variable in this dimension, EC and ASR, was treating the soil with the pool of CSB. The CEC and the LRC (applied alone) had an inverse relationship with the above variables. The analysis showed a strong association between the following groups of variables: (1) Treatment of ground with pool of CSB, microbiological activity and the activity of the LiP and laccase enzymes; (2) soil respiration with the different variables (Fig. 3a). This analysis confirmed that treating the soil with the inoculum of CSB and LRC generated a positive effect on the magnitude of soil respiration, the activity of the ligninolytic enzymes and the microbiological activity because it facilitates the development of microorganisms in the soil, the microbial flora of the LRC companion and the applied CSB. (3) The correlation between the soil respiration and CEC, the high CEC of the LRC, the activity of the microorganisms in the soil or the applied CSB were favored by the addition of LRC. (4) The results of the soil treatments C, C-M and C-BM suggest that the effect of LRC was similar when applied alone or with the CSB. It is probable that, by releasing the HS from the LRC , either the CSB activity or the native inoculated soil microbiota, in response to the entry of LRC, was as a source of C and microbial habitat. (5) the pH, EC and SAR corroborated the characteristics of saline and saline-sodic soils, with an alkaline pH, EC > 4.0 dS m−1 and SAR >12.1 mmol/dm3 soil. Also, it can be seen that these variables were inversely related to the effect of soil treatment with the pool of three CSB, microbiological activity, activity of the laccase and LiP enzymes, respiration and CEC. This indicates that the pooled soil treatment had the best effect, exerted by causing attenuation in the variables related to salinity, and also reflected an increased microbial activity, proven by the result of hydrolysis of the FDA and soil respiration, which also suggests that ligninolytic enzymes are possibly generated by native soil microorganisms or accompanying LRC flora. Applying 1 % LRC and CSB in the Salidic Calciustolls promoted the biological activity in the short term, which was reflected in an increased soil respiration, activity of hydrolytic enzymes on the FDA, activity of the ligninolytic LiP and Lac enzymes associated with the biotransformation of LRC, and increased CEC. These treatments also caused a favorable change in the short term in the chemical variables related to saline-sodic soils, which was seen in the decrease of the EC, SAR and ESP. The effect of the addition of LRC on the biological and chemical properties of saline-sodic soils was greater when applied in conjunction with the three CSB. LRC itself can cause favorable changes in the properties of saline-sodic soil. JGCH provided financial support of the experiments from a research grant and conducted greenhouse experiments and most of lab determinations, general conception and coordination of the experiments, interpretation of results and manuscript writing. NOV offered expert advice during the conduction of the assays, interpretation of results and manuscript writing. LMM provided general conception and interpretation of results and manuscript writing. All authors read and approved the final manuscript. The authors of this paper wish to thank COLCIENCIAS and the “Jóvenes investigadores e innovadores” program for their support provided with the young researcher internship scholarship, the research group on agricultural and environmental microbiology from the “Universidad Popular del Cesar”, and the research group on biodiversity and stress physiology in plants and microorganisms from the National University of Colombia in Bogotá, for their support in conducting this research. NutraNetics. Humic acid structure and properties. Nutranetics ProBio Systems. Junio. 2000. http://www.phelpstek.com/resources/pdfs/humic_acid.pdf.